Ivy Creek Family Farm is an established and thriving farm, growing vegetables, mushrooms, berries, and flowers using sustainable practices. We utilize crop rotation, cover cropping, composting, and other organic methods to produce high quality, seasonal produce. Our farm sits on 38 acres bordering the north fork of the Ivy River in Barnardsville, just 25 minutes north of Asheville. We farm on 7 tillable acres--3 of our own and 4 leased from a neighbor. We've been steadily farming and improving this land for the past 10 years with our crew. Our team consists of four to five apprentices and one crew leader, plus ourselves. We host weekly yoga classes, 4-8 weddings annually, monthly square dances and more. We're professional farmers and we pay a mortgage, secure our health insurance, buy the essentials, and hopefully save a little bit for the future through our farming business. Find our produce, flowers, and mushrooms each week at the North Asheville Tailgate Market on Saturday mornings, the Weaverville Tailgate Market on Wednesday afternoons, and at our farm stand in Barnardsville seven days a week. We also sell our produce to area restaurants (Omni Grove Park Inn, Curate, Plant, Glass Onion, All Souls Pizza, and more) and to distributors. We also operate a 75 member CSA. We offer event space, farm field trips, and farm tours. Seed new plants in the propagation house and care for seedlings. Participate in daily propagation house management including watering, hardening off plants, potting up plants, temperature management (manning the wood stove in the winter and roll up sides and fans in the summer), and propagation house feeding. Prepare the soil and beds for planting including laying compost and laying landscape fabric. Plant seedlings and direct seed crops. Cultivate, weed, and mulch plants and shrubs. Apply row cover to avoid pest pressure and protect plants from extreme weather. Irrigate using our drop irrigation systems and direct watering tractor implements. 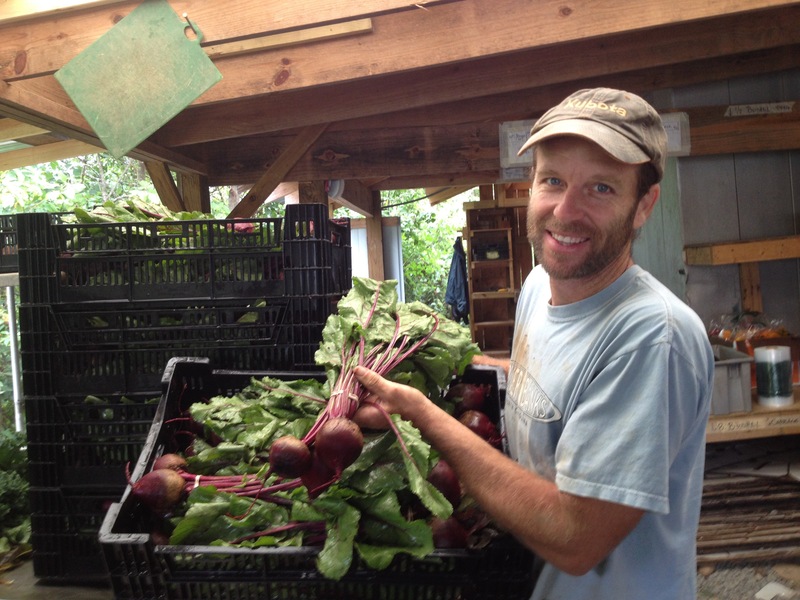 Wash and pack crops for CSA, market, and wholesale. Organize and manage packing house activities. Make weekly deliveries to restaurants. Help with general farm maintenance and chores. We offer 3-5 full year apprenticeship positions. First time full-year apprentices typically begin between March 1st and April 1st, and extend through the end of October or November. We offer year-round employment to apprentices who return for a second or third year. We offer one 12-week position in the busiest months on the farm, beginning May 1st and ending July 31st. Because those months are so busy, this apprenticeship is reserved for individuals with extensive past experience on farms and comes with a higher monthly stipend. We offer one summer internship over the summer, reserved for a college student who may have conflicting school schedules. Apprentice compensation includes $400-$700 a month depending on experience, a private room in our apprentice cabin, farm ‘seconds’, food staples and a stipend for crew lunches. Apprentices have the opportunity to take on leadership roles within specific areas of the farm including mushroom production, propagation house management, and more. We do a weekly farm walk with apprentices and also provide optional weekly yoga classes with a certified yoga instructor. We offer periodic classes on subjects that interest the current group of apprentices. Past classes have included: propagation house management, shiitake mushroom production, business management, cover cropping, irrigation systems and even hands-on lessons in things like changing the oil in a car and tractor maintenance. 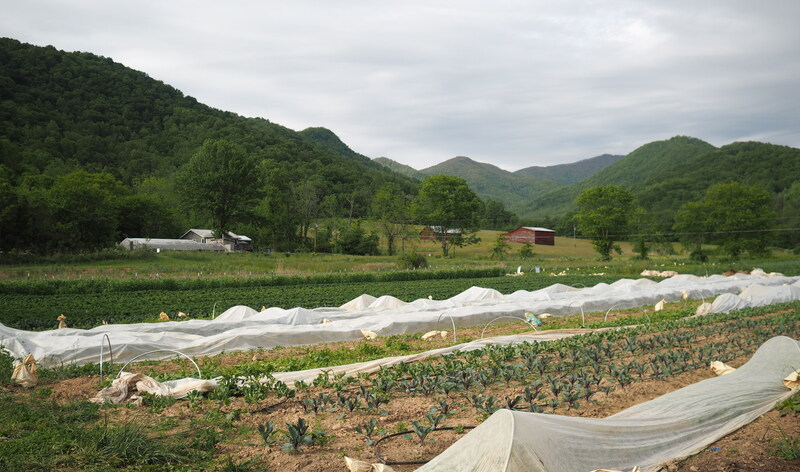 Ivy Creek Family Farm is located in Barnardsville and is a quick 25 minute drive to Asheville. Our view is national forest which provides endless hiking five minutes away. The North Fork of the Ivy River runs through our 38 acre property, which includes both flat land and wooded areas. Apprentices can find a bakery, galleries, grocery stores, a library, and restaurants in Weaverville, just 15 minutes away. No previous gardening or farming experience is necessary for an apprentice to succeed during their time on our farm. However, past experience in working physically or a deep desire to work physically and be in the elements (rain, sun, hot and cold) is important. We work at a fast pace and so being physically fit helps apprentices to feel comfortable during workdays. We expect apprentices to be eager to work hard with a positive attitude, provide attention to detail, and think critically. Most importantly, successful apprentices have a great attitude about working hard, are eager to laugh, take suggestions and critiques gracefully, and can collaborate successfully with others. To inquire about employment opportunities, please contact us by email any time of year or visit our website for further information. Our community visits the farm often, both by shopping at our farm stand and through our events. Our farm includes an open air pavilion where we gather. In the warm months of the year we organize weekly yoga classes open to the public as well as several square dances each season. We host four to five farm field trips each year for school children and preschool age children and, depending on interest, we also offer workshops on various topics in the pavilion. Find out about our current offerings on our farm’s event page or find us on Facebook.